An IP phone is an electronic device that operates distinctly and in an efficient manner than the traditional phone. Instead of using the Public Switch Telephone Network (PSTN), it is routed over an internet protocol. This is because IP phones are incompatible with the circuit-switched, PSTN. Additionally, an IP phone does not connect through a phone jack, rather it connects to the internet through Ethernet cable, where it links to the IP address of either the hosted PBX provider or the VoIP provider. Generally, IP phones come with numerous operating systems and in diverse shapes. The appearance of some IP phones is similar to that of traditional phones. Some IP Phones may feel or look like android or apple tablets, yet others assume the shape of a conference phone that has microphones and a speaker around it. Most importantly, IP Phones have the ability to use Ethernet cable as a mechanism to get their power, especially where power is unavailable. XonTel delivers a wide variety of IP phones. 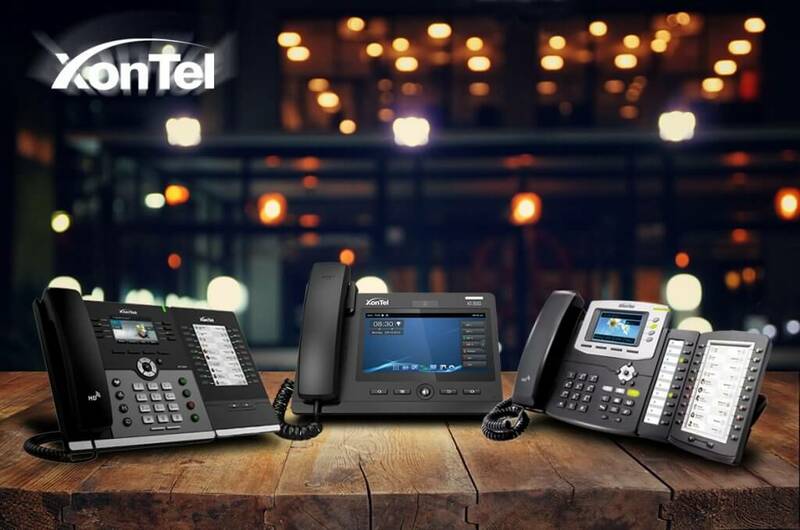 Notably, XonTel ’s line of IP phones features enhanced functionality and instinctive user interface that makes it easier for companies and individuals to connect and increase productivity. XonTel allows life-like, clear, and rich communications, third-party communications, flexible deployment, and outsourced management options. The technology adopted by Sabtec is an economical IP solution that assists users to streamline business operations and to deliver a strong, consistent, and secure communication experience for both small and big business setup. Furthermore, XonTel ’s IP Phones have the potential to make Session Initiation Protocol calls (SIP calls). The company supplies SIP-enabled endpoints that are always ready to connect with the company’s PBXs and several installed servers. Notably, XonTel ’s XonTel XT-19P IP-Phone model comes with mode ((EHS support for Plantronics headsets), HD voice, 2 SIP lines, supports contact center headphones, and a 2.8 In color LCD screen. This device is POE enabled, meaning it uses Ethernet cable to get its power. This saves a lot of energy and costs needed to avail power for each end. Additionally, this IP Phone model has a two-year warranty. However, if users prefer to use a more extensive end, XonTel has other solutions such as the XonTel XT-22G IP-Phone model, which can provide better IP solutions. Particularly, this model is a high-end enterprise IP Phone that has a brilliant DSS key-mapping LCD, which helps to enhance productivity at an economical price. XonTel also has an improved, and innovative IP Phone branded XonTel XT-23G. Notably, this IP Phone is aa ingenious enterprise-level color mode, which can even support a 5-way conference. Accordingly, this model can be optimized for administrative assistants, for people who operate or works with a bandwidth-intensive app on compiled PCs, and most importantly, for executive use, especially for critical decision makers. XonTel XT-23G IP Phone also has a high-resolution HD voice and TFT-LCD that generates life-like audio-visual experience. Lastly, the company has the XonTel XT-30G IP Phone model that supports HDMI, PoE, among other features. Because of the various models of IP Phones, the choice will be influenced by the role of the user.